It is clear by now that bots represent a major paradigm shift. Every brand and business will soon need to build bots. As developers and businesses start building bots, a lot of tools and platforms are emerging to make bot building easier. Not all bot platforms are equal. There is a wide spectrum of bot builders with differing needs, each requiring a different kind of tool. We can condense these varied users into 3 user personas, as described below. In this article, we’ll evaluate the differing requirements and how Gupshup is addressing each of these needs. These are software developers who want complete flexibility and control over the bot they build and have the coding skills to match. They need the fine-grained control that enables them to customize the solution to their needs. They want the flexibility to be able to design just the right bot as well as anticipate future feature additions. However, they don’t want to reinvent the wheel — they prefer high-level abstractions that hide away the infrastructure as much as possible, while being free to focus on their business logic. They also need end-to-end solutions, seamlessly integrated so they don’t have to invest time patching different tools together. Gupshup offers these users the IDE Bot Builder. 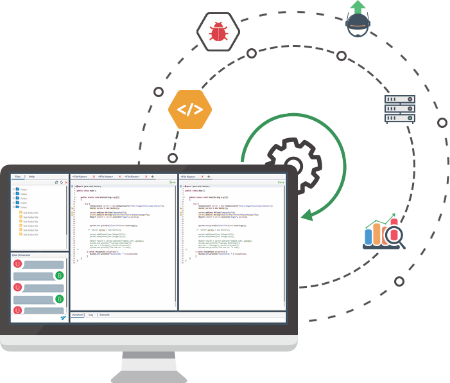 It is an Integrated Developer Environment (IDE) that is the easiest and fastest way to build advanced bots. It enables Coders to build their bot their way without constraints. It dramatically shrinks the dev-test-iterate cycle speeding up development. It includes utilities for state maintenance and the ability to integrate with backend APIs. These may be UX designers, product managers or business analyst that want to build a bot, but do not want to write code. They know the UX they want and would like to design the perfect experience, but would like the coding to be hidden from them. They are willing to trade-off complexity and control for simplicity and speed. Gupshup offers these users the Flow Bot Builder. It is a graphical tool that enables code-free bot building for Designers. 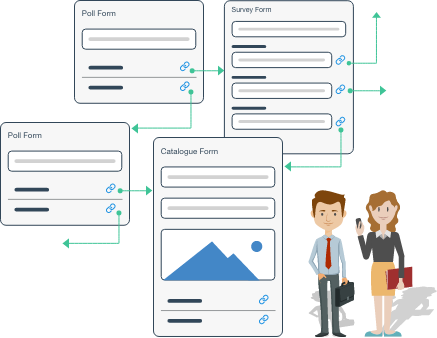 Users can script the conversation flow, essentially a flowchart of messages, describing how the bot will respond to various user inputs. Once ready, they can instantly test the bot or publish the bot to production with one click. These may be small business owners or business executives that want a bot to support their business, but do not want to either design or code the bot. Their use-cases are standard and they want a fully pre-built solution. They do not have the time or the desire to build bots themselves. They prefer to buy rather than build a bot. 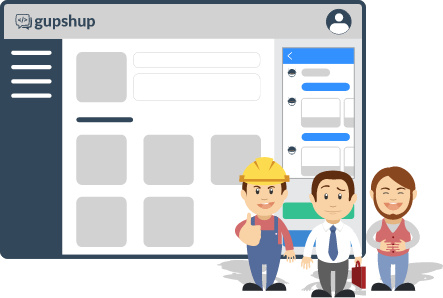 Gupshup offers these users the Template Bot Builder. It enables users to select a pre-defined bot template and customize its content. Its functionality cannot be changed, but the content can be changed easily. For eg, a restaurant owner can pick the food ordering template and customize the name, address and menu. The Bot Builder tools are seamlessly integrated in Gupshup. So, for example, a user can design the conversational flow with the Flow Bot Builder then export the script to the IDE Bot Builder to code the functionality. This enables designers and developers to work in parallel while focusing on different aspects of the bot functionality. Additionally, Gupshup platform supports the end-to-end bot lifecycle. This includes tools for testing, hosting, publishing, monitoring and analytics — seamlessly integrated. It also includes the broadest range of cross-platform APIs with integrations to more than a dozen messaging channels. Not all bot platforms are equal. Different users need different tools. 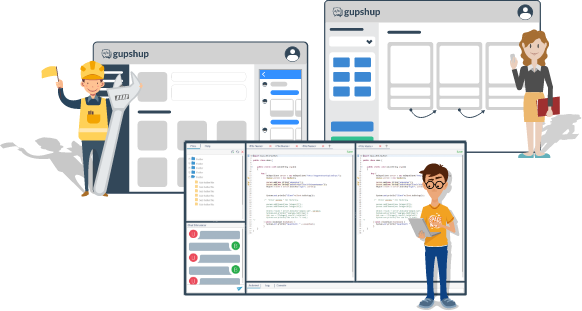 While other bot platforms are targeted at users of one type or the other, Gupshup is developing the most comprehensive platform consisting of bot building tools for everyone.